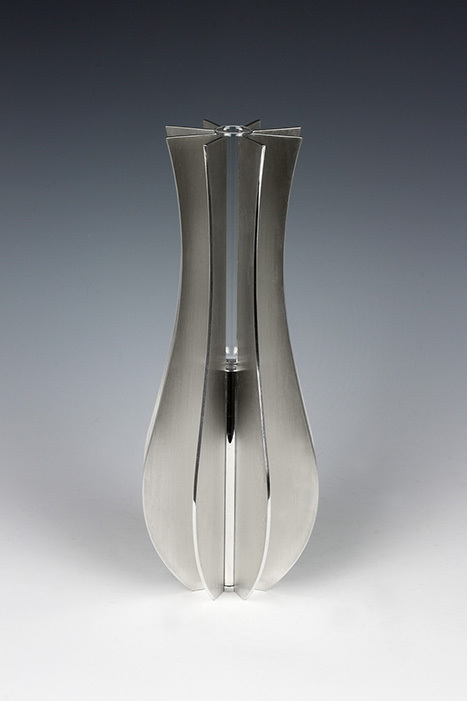 The Template Vases are constructed out of sheet silver, held together using a precision cut solid silver rod. 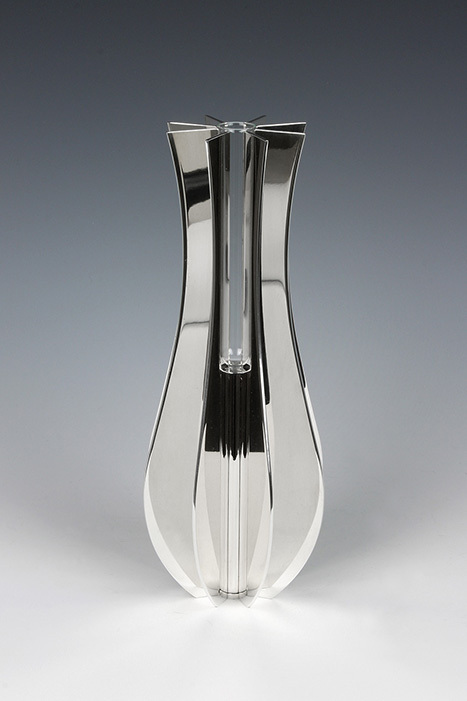 The construction and assembly of each vase is engineered to be held together using just eight small stainless steel screws. The void throughout the centre of the vase is lined with a thin layer of glass, designed to hold one or two flowers. 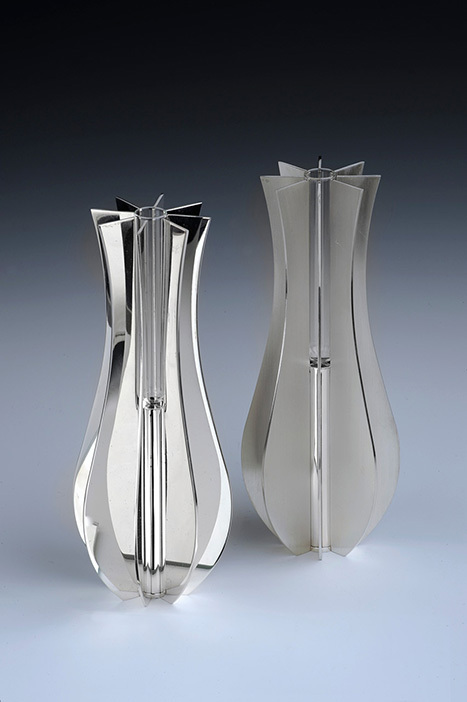 These vases can be produced in a variety of materials and finishes as well as different sizes.